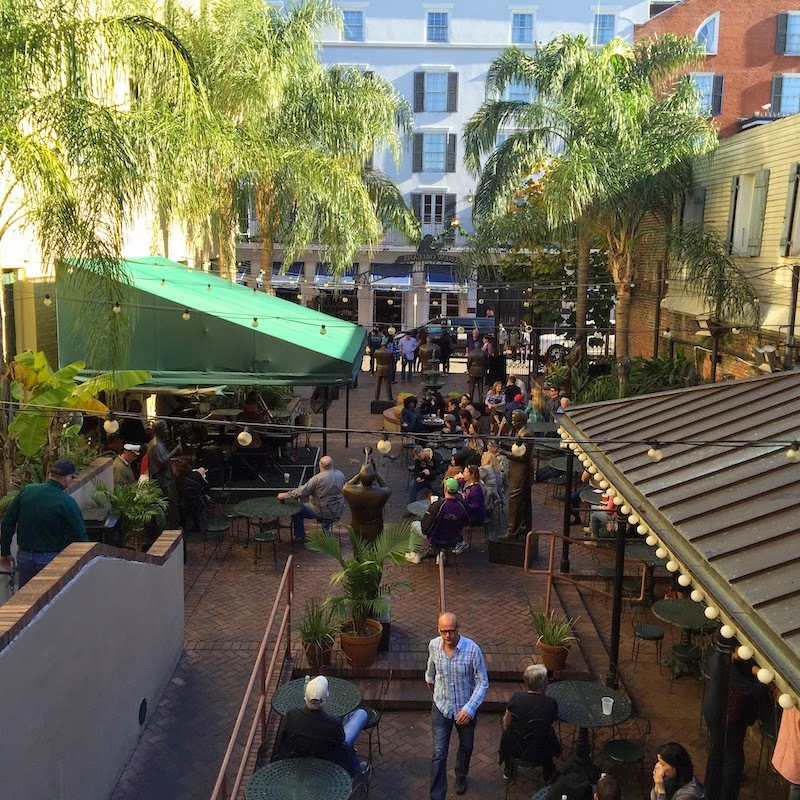 Continuing yesterday's guided Taste Buds food tour of the French Quarter in New Orleans, we walked over to the Cafe Beignet which is located at the back of the Jazz Park. Our tour group sat above the cafe in a small patio with a view of the jazz park. We listened to live jazz as we enjoyed our snack of beignets and cafe au lait. Our guide asked us to compare the beignets from Cafe Beignet to those at Cafe Du Monde (read my post on Cafe Du Monde). Some differences: the beignets at Cafe Beignet are made to order (not in advance) and are hotter and fresher when they arrive at your table. In fact they are too hot to eat at first. They tasted fresher and fluffier to me. Also, the beignets at Cafe Beignet are larger than the ones at Cafe Du Monde. The cafe au lait at Cafe Beignet is stronger than the one served at Cafe Du Monde. I prefer strong coffee, so I really liked it. Pro tip (courtesy of our tour guide, Linda): the jazz park is public, so you can enjoy the music without buying anything, and the restrooms (upstairs) are open to the public. More about the Musical Legends Jazz Park is here. Cafe Beignet was seen on The Best Thing I Ever Ate on Food Network. 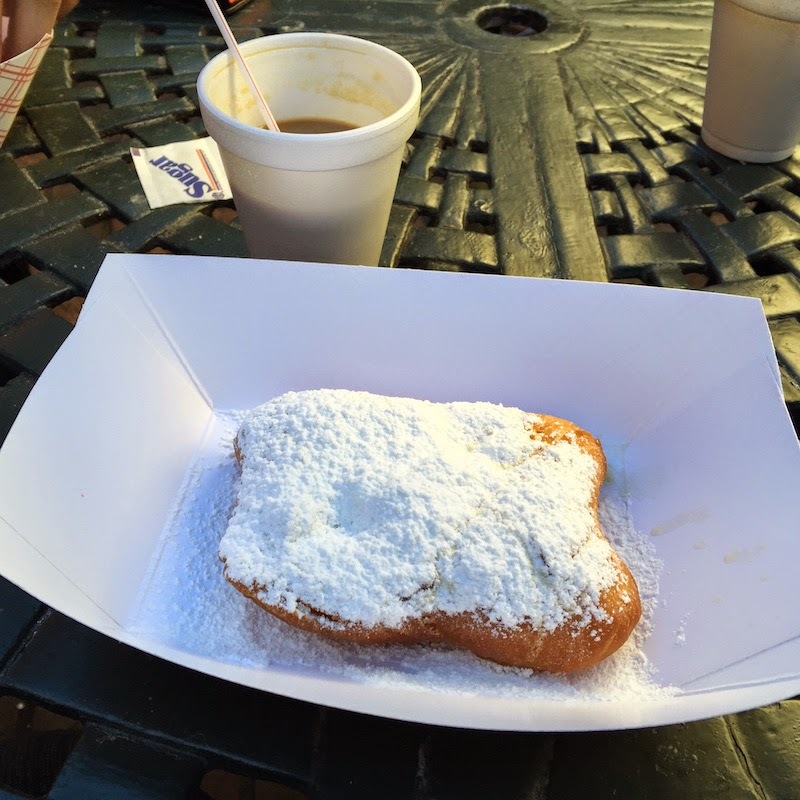 Alton Brown declared it the best beignet he ever ate.